advent calendar Archives - Pebbles, Inc.
Hey Pebbles Friends! 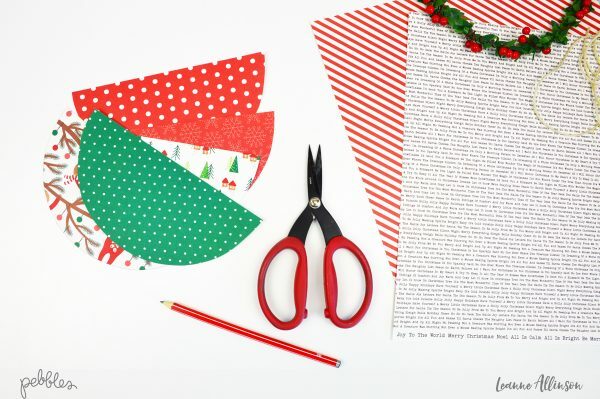 It’s Leanne here today, wishing you a joyous start to the holiday season with a fun and easy project for inspiration. 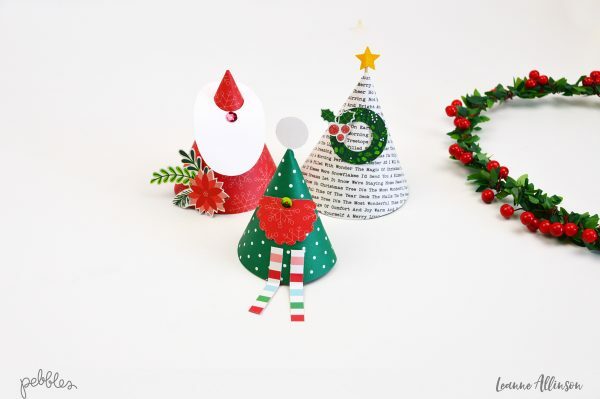 Plus it is never too early to start those paper craft décor items, am I right? My favourite Holiday Craft is always about dreaming up new ways to create an advent calendar. 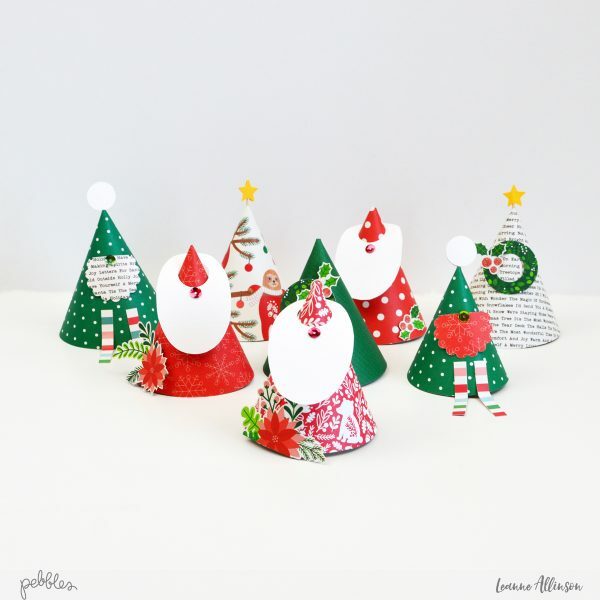 This year, the Pebbles Inc new Cozy & Bright collection, has inspired my paper cone advent calendar. Perhaps it has been the influence of working with First Graders for most of this year, but simple shapes seem to appeal. And honestly, why would you want to over complicate the beautiful patterned papers that are on display. Choosing Cozy & Bright was an easy choice. 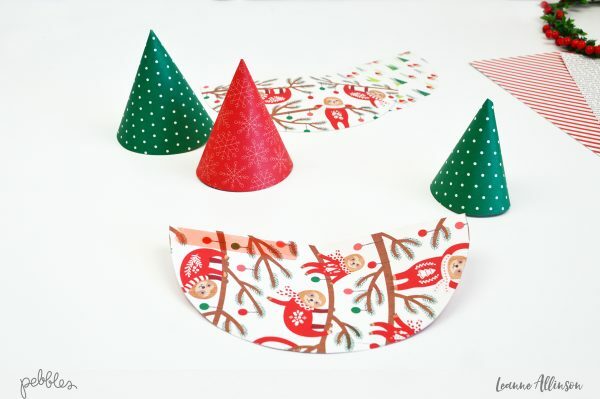 The bold red patterned papers and emerald greens practically designed the advent calendar with little thought as to what each cone would ultimately represent. For this advent calendar, the base cones are “Santas”, “Trees” or “Elves”. Step 1. Using a circle template, measuring approximately 7.25″ at the diameter, trace around the outside edge with a pencil. Tip: use a small bowl or plate as a basic template. Cut each traced circle in half and gather a selection of patterned paper semi-circles. Step 2. Gently curve the semi circle before forming a cone shape. This allows for more flexibility in creating an even cone before adhering it together. Apply strong double sided tape along half of the straight edge only. Reform the cone shape with the tape in place and put to the side. 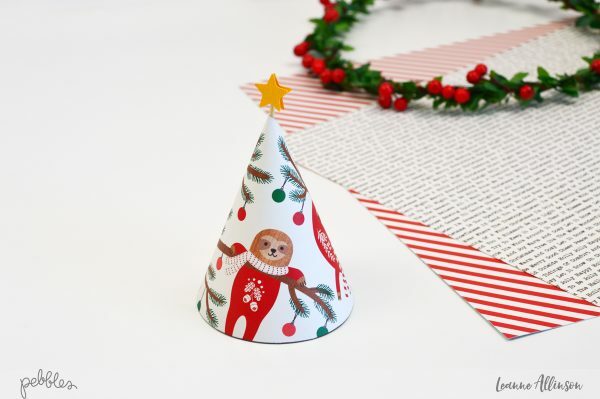 To create a Santa for the advent calendar, choose a red cone base, white cardstock and patterned paper images large enough to fussy cut around. 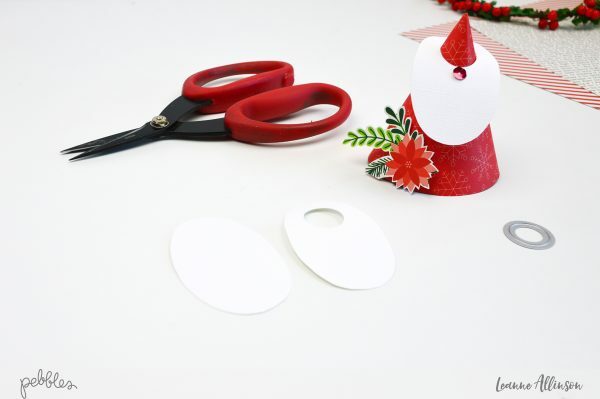 Trim the white cardstock into a elongated oval and then punch or die-cut a small circle shape towards one end. Slip the oval over the top of the cone tip. Gently curl the cardstock with your fingers for a comfortable fit. 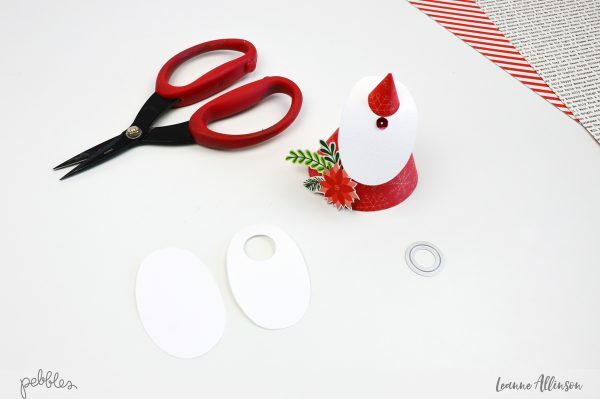 Using wet adhesive, add a single red sequin to represent Santa’s nose. Fussy cut a simple flower image from the 6″x6″ mini paper pad and mount onto the side of the cone base with foam tape. Feel free to add your calendar numbers below the beard. This is the easiest cone base to convert. 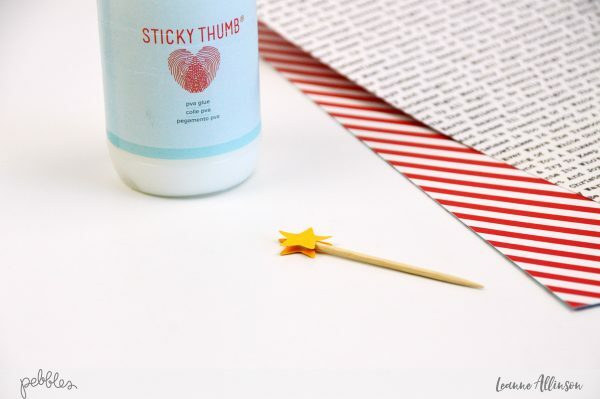 Supplies include yellow cardstock, small star punch, wet adhesive and a toothpick. Punch two yellow cardstock stars. Apply adhesive to the back of each star and sandwich the toothpick between the layers. Once dry, slide the toothpick into the top of the advent calendar cone. Pull out your nesting circle metal dies! Using the small leaf patterned paper found in the 6″x6″ mini paper pad, create a mini wreath using the metal dies. 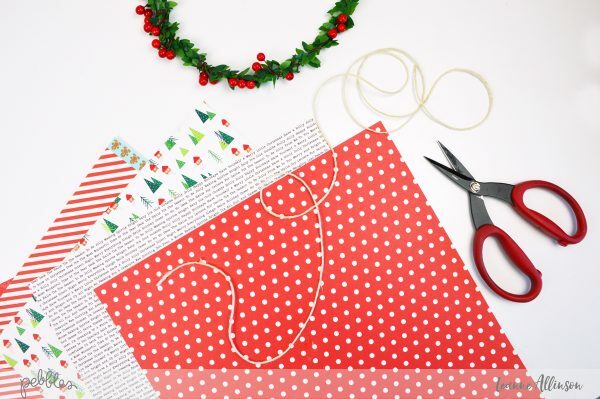 For extra dimension, fussy cut holly berries from the same paper pad and adhere to the front of the mini wreath. 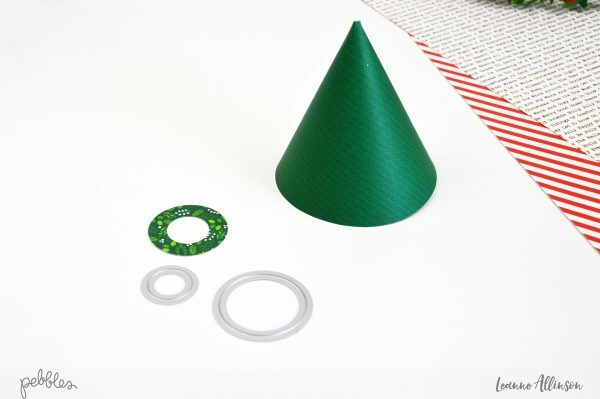 Keep the clean and simple look by adding the wreath to the front of a green base cone. 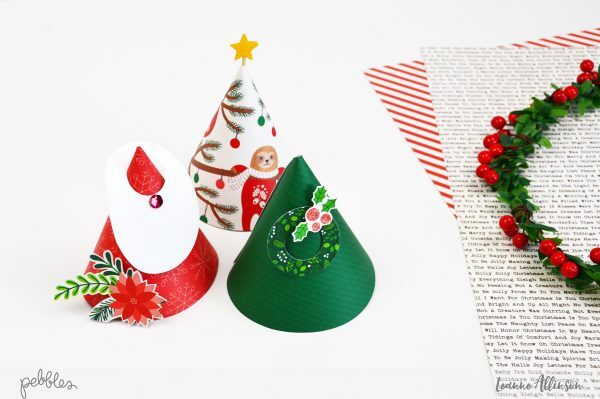 The elf cone for the advent calendar is created with a combination of techniques used above. But it is still very simple to create! The elf beard has been made using a scallop circle punch, trimmed to form one side. Add a green sequin for the nose and two striped patterned paper strips for the legs. 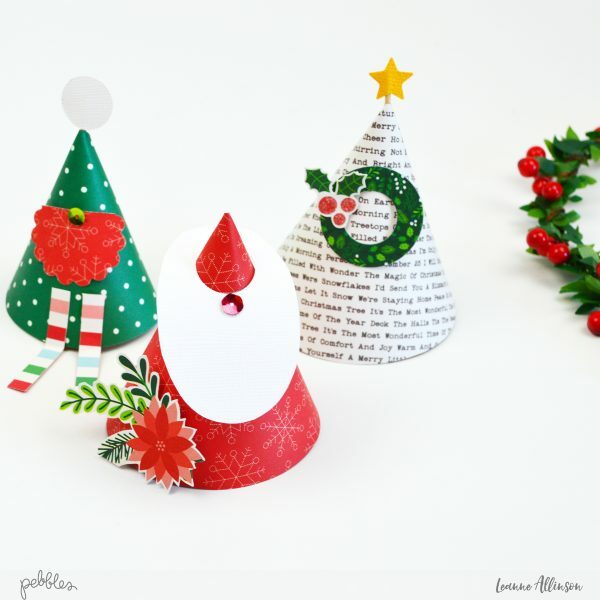 The white pom-pom hat detail is created the same way as the yellow cardstock star. 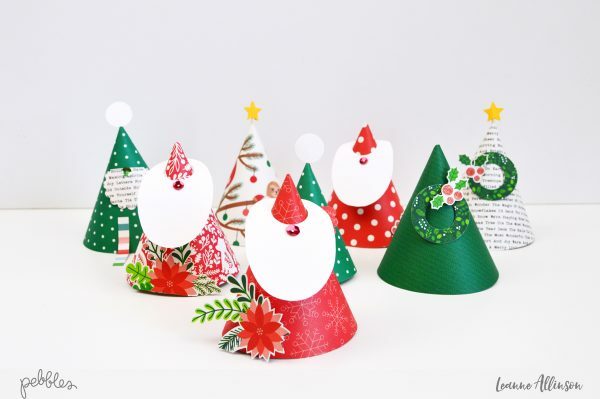 Reuse the small circles punched from the white cardstock Santa beards. To complete the Advent Calendar, add a number to each cone and hide a small token for that day, inside the cone’s interior. To reveal the gift, just lift each cone as required.